A recently released environmental impact report recommends reducing the Excelaron oil project from two drilling pads to one because of visual, noise and odor concerns. The project could result in 12 wells set on the back side of Huasna Valley near the Santa Barbara County line. In Price Canyon, between San Luis Obispo and Pismo Beach, sets the county’s only active oil field. In the immediate area a smell reminiscent of rotten eggs, also common at sulfur hot springs in the area, is detectable. “This project will turn Huasna Valley into another Price Canyon,” said Ron Skinner, spokesman for Huasna Valley Association, a group representing the approximately 200 residents of the valley to the Tribune. Opponents of the project worry about noise and foul odors from the project. Additionally, unsubstantiated reports in the local press gave the impression that Excelaron was headed by Will Divine, an individual who had left the property environmentally unclean after drilling on the site. Divine is not involved in the Excelaron project. Reports that the state came in and cleaned up the site with taxpayers covering the bill are also incorrect. The California Department of Oil, Gas and Geothermal Resources oversaw the cleanup, which was started after Excelaron purchased the oil rights. Funding for the project came from the orphan well fund, which is capitalized by required oil company fees. I often worry about drilling and pumping operations, but I find myself wondering how this specific project will impact the Huasna area. Will the company obey the environmental regulations or will they do whatever they can get away with due to the remoteness of the site? How have they conducted themselves on other sites? What limits are there to the size of the operation? How much truck traffic will the company produce on the curvy road out to Huasna? And what taxes will they be paying the county? Listen – some project might good business in the right area, but this project is BAD BUSINESS for San Luis Obispo County — Quotes directly from the Draft EIR say: NO Real Employment Opportunity for the County Residents & NO Real Economic Growth (Meaning no Real TAX Benefit), and for this we DO get Irreversible Damage to a Coastal Valley…. Yes, just bring it from overseas, better for the environment. We love to think globally. These are existing wells. Until we are oil free, instead of the environmental cost of moving it across the earth lets get it at home. Also, look at how many people are employed by the New Times, not a major economic influx, but they are around. And they used to do a good job. There is more here than how many people will be employed. It is an existing well. New technology means a good chance of lots of oil produced here at home. Under your thinking, all businesses not employing 100 or more people should be stopped from existing. All oil drilled in this country goes into the international market. This oil will be sold with the oil from So. America, the Middle East, India and anywhere else that oil is drilled. So that oil will be ‘moved across the earth’. Most likely due to the low amount of oil under our country the odds are that you will always be purchasing oil drilled out from another country. And the economic cost at the pump. Um, I just wonder how many people who oppose projects like this are ( or were) part of the crowd that yelled “Drill baby drill!” “Drill here, drill now!” ? The Shredder came out with another untruthful story this week. Hiding behind opinion, editor Ryan Miller loves to throw out false information as news. Last week, the Shredder supported Adam Hill’s claim that the “black faced” impersonator was racist without providing photos of an amazing impersonator. 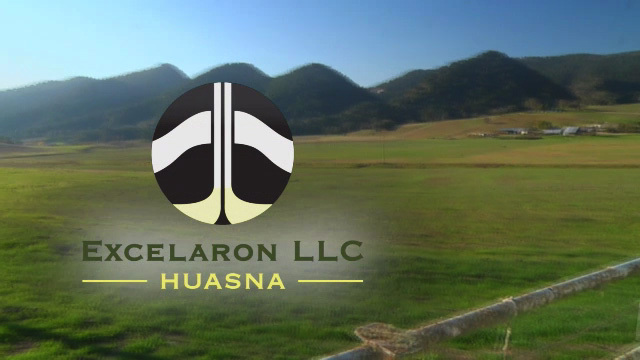 And trying to say the guy that left the mess in Huasna Valley is the founder of Exceleron is a new low. Ryan – or Mr. Shredder – you have a regular paycheck coming in for your 40 hour work week. I bet you the owners of Excelaron put in twice the hours you do. Ryan, honesty is a virtue. The other interesting thing about the battle against local oil is that the main opponent of the project, Ron Skinner, is one of the county’s most successful farm subsidy “welfare” recipients. Lets keep the land not producing so he can get public funds to fight people who work. We’ll see if Ryan Miller addresses Nancy’s claims, but it seems rather obvious to me that commenter “Nancy” is a card-carrying member of COLAB and an all-around apologist for right-winged moneied interests, not just “people who work”. I have no particular interest in what Ron Skinner says, but it also seems obvious that someone who’s trying to run a farm, whether subsidized by federal farm “welfare” or not, is going to put a premium on keeping the area water table clean. Someone who’s involved in extracting oil from the ground, possibly by using hydrofracking, isn’t going to want to protect the purity of ground water, and so it makes sense that proponents of “local oil” are going to demonize him. Seems to me that he does want “the land” to keep producing, and keeping the water table unpolluted is one way to assure that it does keep producing. Producing food, that is. And what the hell is “local oil”, anyway Nancy? Oil is fungible. Just because it’s extracted here means nothing once it finds it’s way to a refinery. Don’t insult our intelligence.